The Parademons, the monstrous zombie bugs at the heart of Justice League, smell fear. It is a lucky thing that they don’ smell desperation, because otherwise they’d eat the movie alive. Justice League is not a movie so much as a two-hour attempt at atonement. It is an extended apology from Warner Brothers to the most vocal internet denizens, an obvious attempt to backpedal away from the controversial and divisive (and provocative) attempts to jump-start their shared comic book universe with Man of Steel and Batman vs. Superman. Richard Donner’s Superman inspired audiences to believe that a man could fly; Justice League serves as evidence that a film franchise can grovel. Justice League is contrite and submissive. 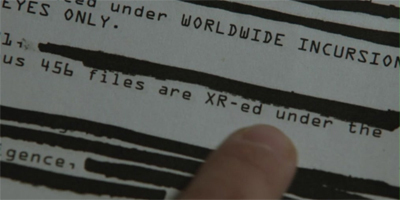 Anything resembling a jagged edge has been carefully sanded down, anything resembling a unique identity stripped from the film. Justice League has listened to the internet’s overblown criticisms of Man of Steel and Batman vs. Superman, and decided that the best response is to offer something generic and appeasing. Justice League has the feeling of a studio mandated checklist captured on celluloid, a list comprised primarily of “don’t”s; don’t run over two hours, don’t be so dark, don’t be pretentious, don’t be political. The result is a movie that feels defined by what it isn’t, an empty space much larger than that created by the absence of Superman. It is a movie without any ambition or any personality. It wants so desperately to be loved, but ultimate feels hollow. Who Monitors the Birds? is a phenomenal piece of television. Space: Above and Beyond is a show that only ran one season, languishing on Sunday nights before Fox decided to just scrap the idea of consistently scheduling it and just bounced it around the network timetable. It was not a breakout hit. It did not inspire a revival or resurrection in the way that other science-fiction properties have done. It has a very devoted and strong cult following, but its name is more likely to evoke a vague remembrance than anything more concrete. And yet, despite that, Space: Above and Beyond was still a massively influential piece of television. Despite the fact that it was structured as a throwback to classic war movies, it was also a very progressive piece of television. The influence of Space: Above and Beyond can be keenly felt on Ronald D. Moore’s Battlestar Galactica, even though the show seldom gets any real credit for that influence. 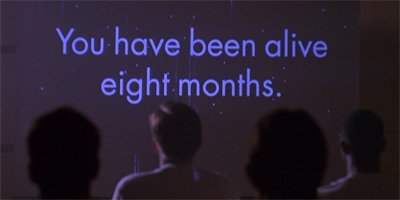 In some respects, Space: Above and Beyond was well ahead of its time. Who Monitors the Birds? is put together with incredible skill and confidence. It is an episode that holds up fantastically, and which serves as a demonstration of the series’ lost potential. I feel a little sorry for Shakespeare. The guy wrote some of the most influential and iconic plays ever composed; invented countless turns of phrase and even words; became inexorable associated with theatre and stage work… and yet he’s still hated by just about every student forced to sift through Romeo & Juliet or Hamlet or Macbeth as part of their education. While Shakespeare is easy enough to read once you get a grip of it, or once you have enough experience, forcing kids to read those plays at school is one of the most effective ways to kill enthusiasm for the Bard. The beauty of Shakespeare is that he isn’t just an “important” writer, that he isn’t just a key part of the evolution of world literature, a formative figure in the history of narrative. Not that any of those are minor accomplishments, mind you. The real beauty of Shakespeare is that he’s actually very good. Not with qualifications like “… for his time” or “… in context.” Shakespeare remains a great writer in the most fundamental “this is actually a pretty good story well told” sort of way. The best directors to adapt Shakespeare’s work to film realise this, and accept that Shakespeare is still a great storyteller; you just need to figure out how to translate his works properly to the screen, in the same way you’d translate a modern best-seller or a beloved cult comic book. Kenneth Branagh figured out how to do this, with his adaptations almost popping off the screen. Much Ado About Nothing demonstrates that Joss Whedon has it pretty figured out as well. Agents of S.H.I.E.L.D. has burnt through a lot of goodwill at this point. Offering a television spin-off from one of the most popular and successful movie franchises of the last decade (if not all time) should be easy; giving the show to long-time collaborators of Joss Whedon should only increase the series’ likelihood of success. The show has the budget and the scope to offer an exciting slice of pulpy comic book entertainment, but all the episodes so far have been incredibly generic, and could easily have been lifted from shows like The X-Files or Fringe. At least The Hub offers us a sense that the writers are finally pitching shows to the niche filled by Agents of S.H.I.E.L.D. It’s a story about a massive multi-national spy organisation with dark secrets and impossible technology, which places it firmly in the show’s wheelhouse. There are a lot of problems, mostly with finding the right tone, but it seems like Agents of S.H.I.E.L.D. is at least finally finding its own voice. It’s not a strong or distinct voice yet, but there’s still a faint sliver of hope. Thor was a gem. I’d argue it remains the best of the Marvel Studios films, expertly and enthusiastically embracing the heightened melodrama of comic book storytelling and boiling it down to faux Shakespearean elegance. With Kenneth Branagh directing and a fantastic cast, the film hit on a lot of the old-fashioned comic book spectacle. Yes, it was sheer nonsense, but there’s something surprisingly affecting about hearing Anthony Hopkins intone Stan Lee’s decidedly corny dialogue. This is sheer unadulterated pop, filtered down and distilled. A lot of that carries over to Thor: The Dark World. “Some believe that before the universe, there was nothing,” Hopkins’ Odin assured us in the trailer, in a narration omitted from the film. “They’re wrong. There was darkness…” Sure, physicists and scientist might weep at the suggestion, but Hopkins is able to imbue the ridiculous line with a surreal gravitas. “I like the way you explain things,” Jane tells Thor at one point, and the British accents lend the goofiness a strangely convincing air. It doesn’t make any sense, and it’ll hurt your head too much if you think about it, but that’s entirely the point. 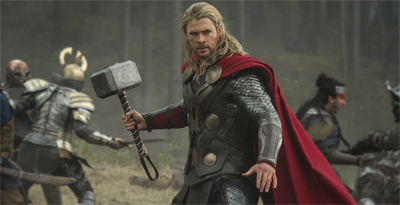 This is a movie about a Norse god with an English accent and flying hammer. It’s… wait for it… hammer time!